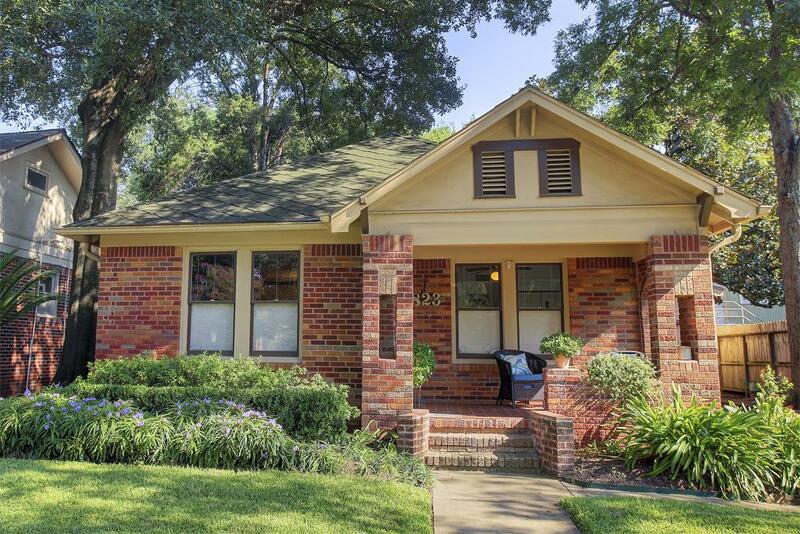 Woodland Heights is known for its predominantly Craftsman style homes; lots of bungalows with big porches, large overhanging eaves. These are making way for bigger homes though. They are mostly being renovated and big additions expanding the space. More and more though they are being knocked down and big new homes built. A house one block from mine on Omar was demolished last week, and another demo has started today, diagonally behind me. I show prices of these little bungalows on the first row of the table below. These were sales since mid 2016. 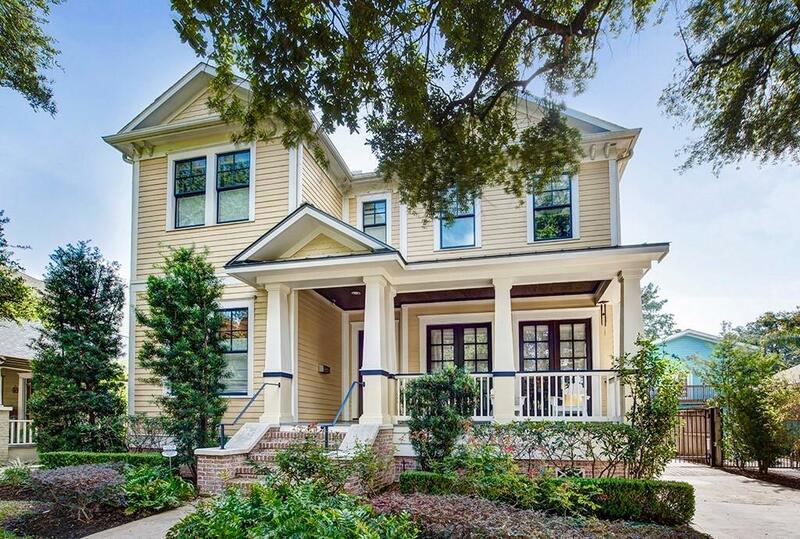 These are updated homes averaging about $500K in price. Land value here is ~$80/SF, thus lot value is ~ $400K for a typical 5000 SF lot. So, don’t expect to find anything cute at the $400K range. Notes: * Lot Size in Woodland Heights is typically 50 X 100 ft, though some are 75 ft wide. No alley, no subdividing. ** DOM = Days on Market. *** LP/SP = Ratio of list price to sold price…generally 97-98%. The table gets squeezed into a limited space on this website, but price ranges for different sized homes are shown. Photos of typical Woodland Heights homes are shown below. The bungalow on Sledge St is currently on the market. The big, new home is an example of what is being built in the neighborhood. The house below is a home on Merrill St being demolished today. This morning it was a typical 2/1 bungalow; at 11:00 just the front wall remains. By this evening it will be a vacant lot. 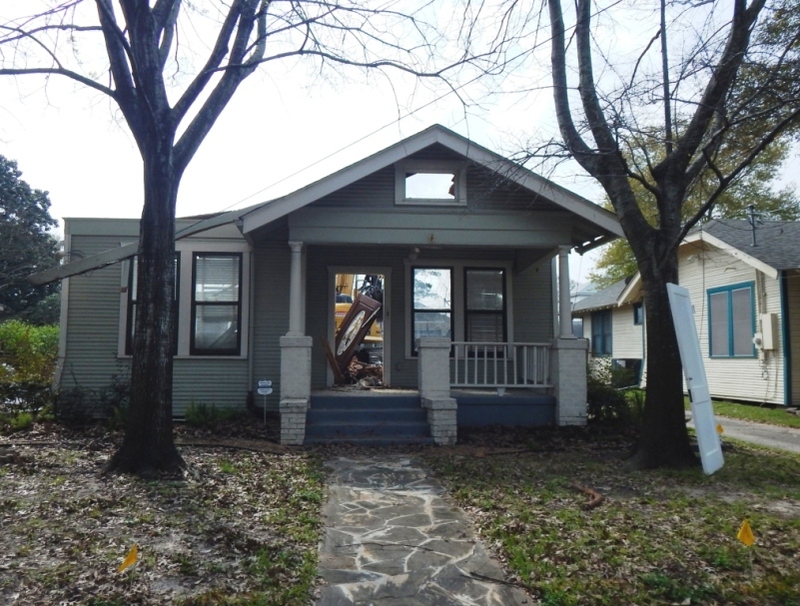 Woodland Heights bungalow being demolished today.